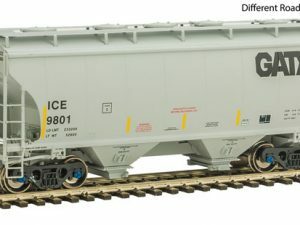 These ready-to-run cars feature injection-molded bodies with separately applied metal grab irons and etched metal roofwalks. 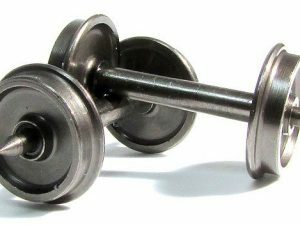 Cars include trucks and brass wheelsets, weights and magnetic knuckle couplers. 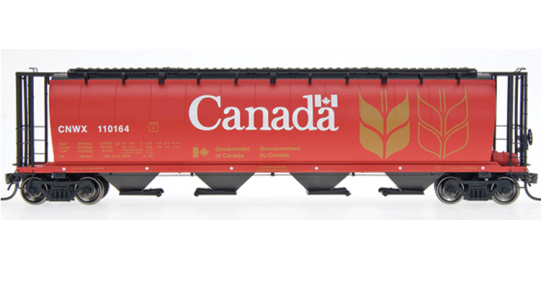 Covered hoppers feature etched-metal roofwalks.